MIG welding is a subtype of gas metal arc welding wherein an electric arc forms between the metal being welded and the heat source/electrode. The heat generated causes the metal to melt, fusing it with the electrode. The inert gas that flows through the welding gun (typical carbon dioxide) shields the weld from contaminants. Direct and alternating currents are used to weld and can fuse carbon steel, stainless steel, aluminum,magnesium, copper, nickel, silicon bronze and other alloys. Gas welding uses a mixture of fuel gases and oxygen to weld or cut metals. The processes produce a high-temperature flame that can melt steel. It is a popular welding process used often for maintenance work, brazing soft metals and metal cutting. Gas welding uses inexpensive simple-to-handle materials. Unlike electric arc welding, the flame is not concentrated allowing materials to cool more slowly. This the most basic industrial welding technique. It uses a constant source of alternating or direct current to produce a high energy weld. Arc welding methods can be applied to heavy metals and are ideal for repair works and fabrication of steel structures. Tungsten inert gas or TIG welding is a subtype of gas tungsten arc brazing. Tungsten is used as the conducting electrode in the soldering gun which is an integral part of this process. Metal vapors and highly ionized inert gases create an arc that is protected from contamination by the inert gas. TIG is slower than other processes and is a more focused form of industrial welding. It yields higher quality and stronger welds. Additionally, it gives a superior finish with little cleaning up by sanding or grinding. More metals such as magnesium, copper alloys, aluminum, and steel can be welded with TIG welding. In this process, two pieces of metal are placed on top of each other and the welding spot is pressed between two electrodes. As electricity moves from one electrode to the other, it is stopped momentarily by a tiny gap between the two pieces of metal. The heat created is intense and will cause the two pieces of metal to fuse at that spot. Pressure is then applied to complete the resistance spot weld. This is an efficient welding process, and due to its speed, it is widely used for mass production of automobiles. Many spot welds can be made at one time when joining large parts. Automation of welding processes is ideal to orchestrate a major welding operation, and as such it is important that all participants in the processes know the tools they are utilizing well. Industrial welding automation relies upon equipment that has distinctive functions tailored to a certain type of approach or product. Welding machines are used to fuse metals together for fabrication and most commonly use an oxy-acetylene welder, stick welder, TIG welder, and MIG welder. The mechanisms used in these welding methods are similar, but the inert gases and electrodes used are different. This gives each welding process its own utility and characteristics. The power source used also differentiates the different welding machines. 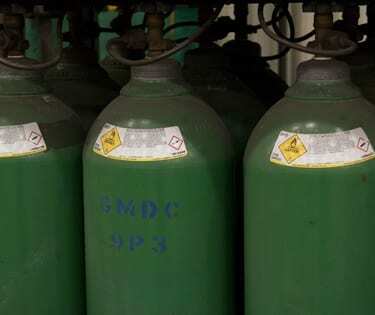 For example, gas is used in gas welders. They are more silent and mainly used for mild industrial or domestic purposes. 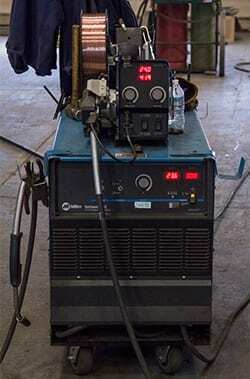 Use of gas welders is common in areas where gas is more readily available than other fuels. Diesel welders are known for their ruggedness and robustness and are powerful in all weather conditions. Both diesel and gas welding processes can utilize gas, Stick, and TIG or MIG welders. Metals are strong and hard to manipulate. However, advanced fabrication requires engineers to manipulate metals to a desired cut or shape. In the past, steel free-hand cutting was done though today there are advanced tools like computerized plasma cutters and laser cutters being used for more precise and finer results. The safety of welders is important, thus the positioning of weldments is crucial. Welding positioners help to place weldments to give welders the best placement possible thus expediting their work, making them more comfortable and reducing their fatigue. Welding positioners help welders focus so that they can produce better quality welds and finishes. High-quality specialty welding is essential for maintenance of industrial and architectural structures. You will need skilled and educated welders to do the job, so quality standards must be strictly maintained and enforced. These standards have been created nationally and locally to ensure quality welding. 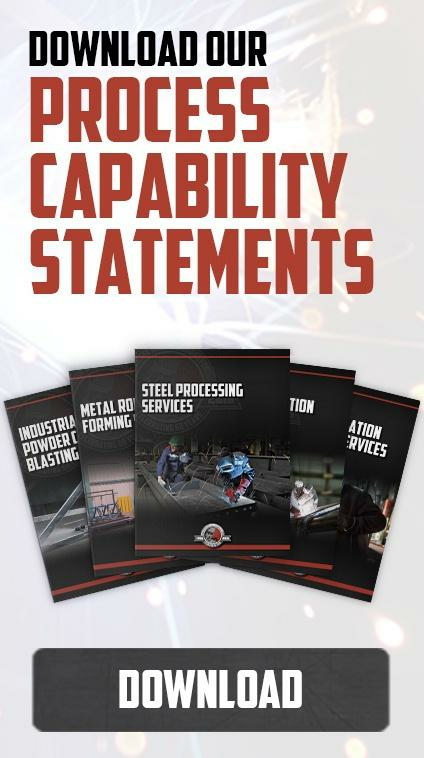 The quality standards in the industrial specialty welding and metal fabrication industry affect an array of businesses including commercial offices, food plants, manufacturing plants, hotels restaurants and more. Quality welding standards work hand in hand with safety standards. For example, if customers are provided with poor welds on an exhaust system there is the risk of hazardous substances leaking out. Therefore, welds need to be carefully tested to ensure that they meet both safety and quality standards. This eliminates risks of leakage that may jeopardize the safety of the public and employees. Additionally, visual inspection of structural welds for discontinuities is necessary to avoid future problems. In conclusion, industrial welding automation ensures higher productivity, quality, profitability, and finish. Welding processes have improved many sectors, and their advantages have made welding/fabrication a growing industry. However, quality and safety standards have to be maintained at all times, hand in hand with regular maintenance. Industrial welding is in increasingly high demand, and as it is a specialized process the need for superlative industrial welding firms has never been higher. If you need industrial welding performed then contact your local welder/fabricator today for more information.